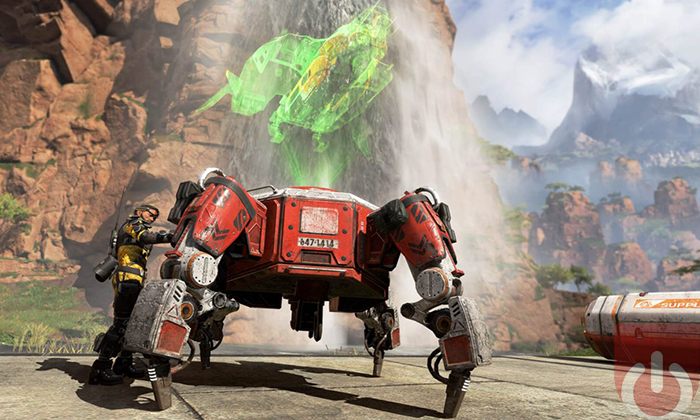 Respawn Entertainment surprised everyone when they launched Apex Legends a few days ago. Not so much on it being a battle royale game – seeing as how they had let on that this was the case – but because of the game’s polish. 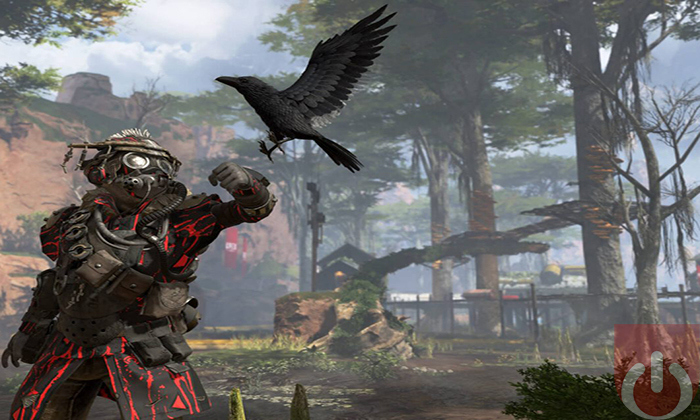 Though it was released within days of its announcement, Apex Legends doesn’t seem like a “flash in the pan” attempt at cashing in on an insanely popular subgenre of shooter. No, Respawn had been working on this title for some time. Apex Legends has taken over streaming services. That said, there still might be some of you who are skeptical. You might be saying to yourselves, “this is a battle royal game set in the Titanfall universe…with no titans? Pass!” The sentiment would be warranted if the Apex Legends wasn’t as good as it is. So, in an effort to get the reluctant players on board (all five of you), we thought it would be a good idea to list the three reasons why Respawn’s latest shooter is worth checking out. One of the things that separates the Blackouts of the world from the PUBGs is their level of polish. The same is true of Apex Legends. Without hosting any betas (private or otherwise), Respawn was able to deliver a mostly glitch free experience; it does suffer from some connection issues from time to time, none of which affect the outcome of a match. 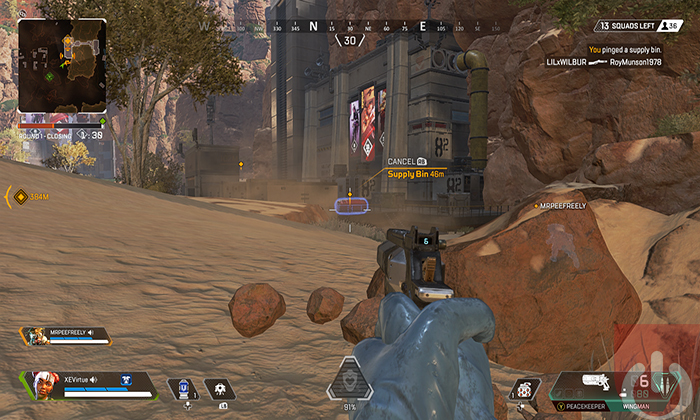 Apex Legends’ gameplay is also polished. The moment to moment combat is rather entertaining, thanks to the game’s solid shooter mechanics. Running, sliding, shooting, picking up weapons, swapping attachments – all of it is handled in a user-friendly way. And just like the Titanfall titles, the shooting is very responsive. It always feels good to fire off a few rounds regardless of the weapon, which of course makes the exciting firefights that much better. Apex Legends is the only battle royale game that features hero-based characters. Called Legends, these characters each come with special offensive and defensive abilities. Take Bloodhound for instance. He has a passive ability called Tracker that allows him to see his enemies’ footprints. He also has an ultimate ability called Beast of the Hunt, which enhances his senses – he’s able to move faster and enemies are highlighted when in sight. Lifeline, on the other hand, has medic/support-based abilities. She can revive knocked down teammates faster than the other characters, produce a healing drone, and call down care packages full of defensive gear. What’s great about these abilities is that they don’t require players to pick up certain items or reach a certain kill count to become useable. Instead, they are regulated by cool down timers, allowing those less skilled or unlucky players the same opportunity to utilizes these game changing moves. Apex Legends is a team-based shooter. In that, you can only play in squads of three – there’s no solo mode. This of course means that players are going to work together, even when grouping up with random teammates. Because of this, Respawn developed a clever ping system to help everyone communicate with one another. What’s so novel about this system is that it can be used for everything. Tap the ping button once to highlight a place you’d like to visit on the map. Hover your crosshair over an item and tap it to alert your teammates, letting them know that there are goodies worth picking up. Double tap it to call out an enemy’s position; no more struggling to identify a strange landmark or random building in the heat of battle. You can even ping needed items by highlighting them in your inventory and hitting the button. All of this information (once pinged) is communicated back to your teammates both visually and verbally. There’s no need to use a mic. I mean, you should use a mic as it’ll greatly increase your chances of winning a match. That said, you don’t HAVE to use it given this ingenious system. And there you go. There are other reasons why Apex Legends is a game changer. The well-designed map, interesting characters, and the ability to purchase cosmetics outright (instead of dealing with the game’s loot boxes) easily come to mind. The best reason to check it out though, is because it’s a fun game. And the ping system. The ping system is amazing!